Ranakpur is a village in Desuri region of Pali distict is located beautifully with Aravali around. Ranakpur located 90 KMs from Udaipur and 160 KMs from Jodhpur, has always been a favorite destination for all as one can view the grand Jain temple made of milk-white marble stone. The aura of this 15th century temple is so magnificent that one simply gets enthralled completely. 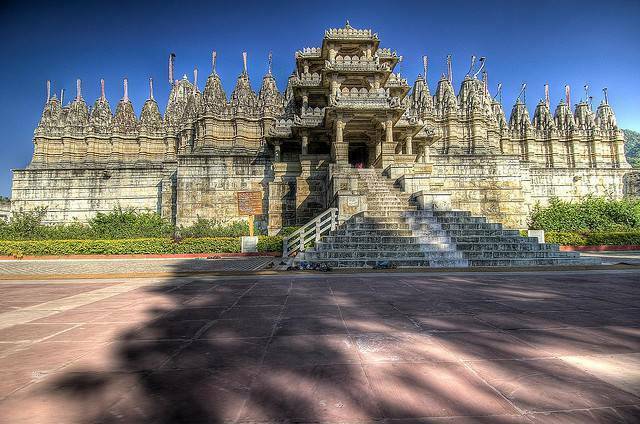 Ranakpur temple is dedicated to 1st Jain Tirthankar, Adinath and walls of the temple from inside are elaborately carved depicting Jain deities, floral themes and other figures. Adjoining this Jain temple is a small sun temple which should be visited too.